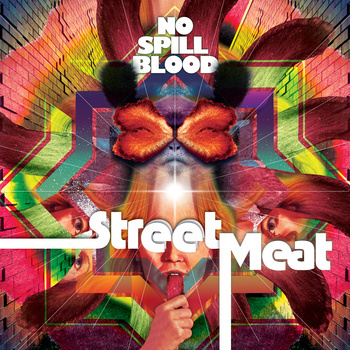 Dublin, Ireland synth-punk trio No Spill Blood release their Street Meat debut EP digitally today (LP and CD on Sept 4th) via Sargent House. Stream the entire 6-song release HERE. Check out the high quality multi-camera live video of the band playing "No Retreat" HERE. Ireland's vitalic rock scene has once again created musical alchemy in the form of No Spill Blood, a band formed from the much-loved, respected and established bands Adebisi Shank, Hands Up Who Wants To Die?, Elk and Magic Pockets. Matt Hedigan (Hands Up Who Wants To Die?, Elk), Ruadhan O'Meara (Magic Pockets) and Lar Kaye (Adebisi Shank) took time out of their other bands to jam in Dublin in early 2011 after Matt had moved to the city from Cork. The trio's shared musical influences, the agile post-rock electronic punch of Trans Am, the playful noise of Devo and the low-down post-punk of the Melvins can be heard melded into No Spill Blood's spirited hurtling rhythms. While their other musical projects contribute to the tempos, the tones and the textures of the music, No Spill Blood's sound is unequivocally their own. Repetitive Kraut-esque rhythms are goaded by O'Meara's buzzsaw vintage synthesizers, Kaye swaps his robotic guitar work in Adebisi Shank for incisively-charged drums and Hedigan provides the fuzzed-out low-end and beastly vocals. Or in their own words - “Heft, Heft, Synth, Heft, Heft”. Street Meat will be released on LP and CD via Sargent House on September 4th, 2012. Canadian power-duo Indian Handcrafts premiere the lead track from their forthcoming sophomore album today courtesy of SPIN.com. The song, "Bruce Lee" is available HERE (alternate Soundcloud link HERE). The band recently released a behind-the-scenes video studio from recording the album -- featuring cameos from some heavy friends -- announcing their forthcoming Sargent House album debut. The Toronto band's sophomore release, Civil Disobedience For Losers was recorded in Los Angeles back in March with engineer Toshi Kasai (Melvins, Big Business, Red Sparowes). The clip features the album track "Terminal Horse". Watch teaser video HERE. Bursting out of Barrie, Ontario this pair of charming gentlemen immediately impacted the world with a self-released 8-song debut album in 2011. Cathy Pellow of Sargent House quickly took notice and signed the band on to management and the label. Shortly thereafter, Civil Disobedience For Losers was recorded in Los Angeles in March 2012 with engineer Toshi Kasai (Melvins, Big Business, Red Sparowes) and featuring special guest appearances by Melvins drummers Dale Crover and Coady Willis. 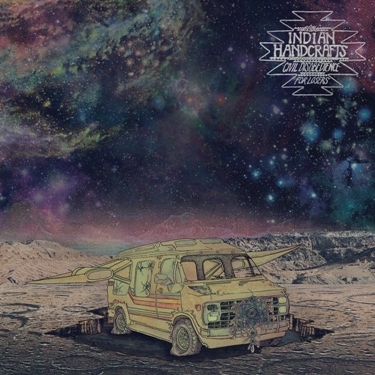 Even with such superfriends assisting the proceedings, Indian Handcrafts prove their own exceptional strengths throughout the album. 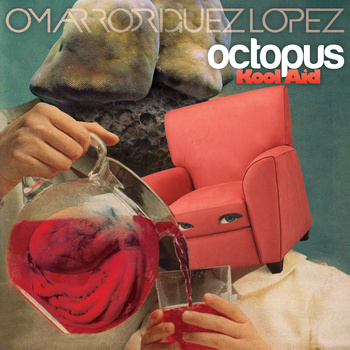 Immensely prolific Grammy Award winning recording artist Omar Rodriguez Lopez (The Mars Volta, At The Drive-In) announces European and U.S. tour dates with Omar Rodriguez Lopez Group beginning in late August. Teresa Suarez aka Teri Gender Bender of Le Butcherettes will be lead vocalalist for all of these shows. The U.S. leg concludes with a performance at Fun Fun Fun Fest in Austin, TX in November. More shows will soon be announced in Australia, New Zealand, Japan, Russia and on the East Coast in the USA. Please see all current dates below. 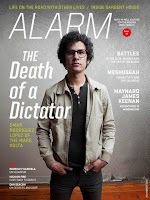 Omar also graces the cover of the new issue of the relaunched ALARM Magazine in a revealing feature titled, "The Death of a Dictator" in which he ushers in a new era relinquishing the control he's held over The Mars Volta. The entire issue is available for a limited time as a free download for iPad users. Omar Rodriguez Lopez's genre-defying sixteen-year career has resulted in more than 40 albums, a Grammy Award and being deemed among Rolling Stone's "Greatest Guitarists of All Time." His seminal and critically acclaimed band, At the Drive-In, redefined popular rock music at the end of the last decade. 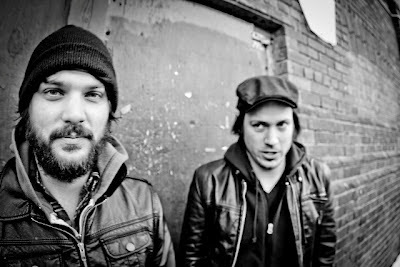 Since that time, in addition to being both a solo artist and leader/composer/producer of the The Mars Volta, Rodriguez Lopez has collaborated with John Frusciante, Hans Zimmer, Erykah Badu, RZA, Lydia Lunch and many others. Along with Teri taking center stage and Mars Volta drummer Deantoni Parks once again in their ranks on this tour, this incarnation of the ORLG will henceforth function as a democracy -- a dynamic, shape-shifting band in the truest sense. What they intend to achieve this autumn will be nothing short of a total reinvention of themselves. 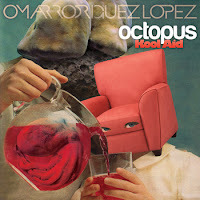 Check out Omar's most recent solo album, Octopus Kool Aid featuring lyrics and vocals by Teri Gender Bender available to stream HERE. 02. Where Are The Angels? 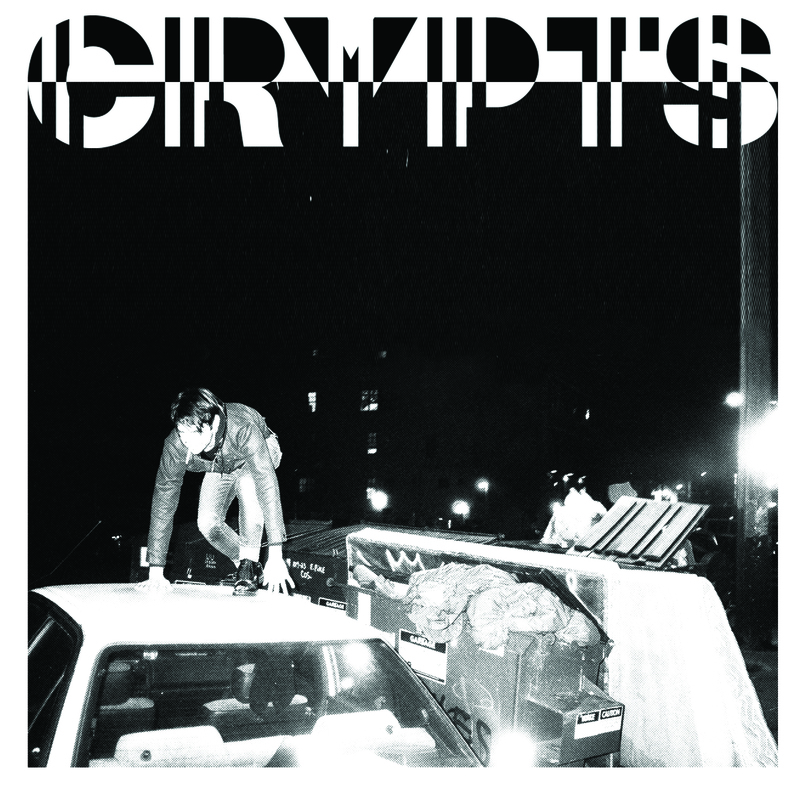 Seattle dark electronic trio Crypts premiere a new track from their forthcoming self-titled Sargent House debut album today courtesy of Consequence of Sound. The song, "Territories" is available to stream/download HERE or at this Soundcloud link. 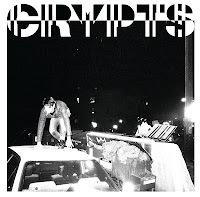 Crypts also recently posted an eerie mind-warping video for album track "Fancy" to watch HERE (check out MP3 HERE). 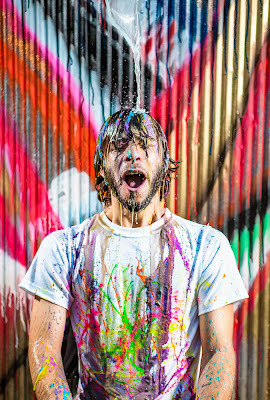 The clip was directed and edited by Crypts member and visual artist Nick Bartoletti. Additionally, Crypts upcoming shows include a west coast run in September with Chelsea Wolfe in support of the album's release. Please see complete dates below. 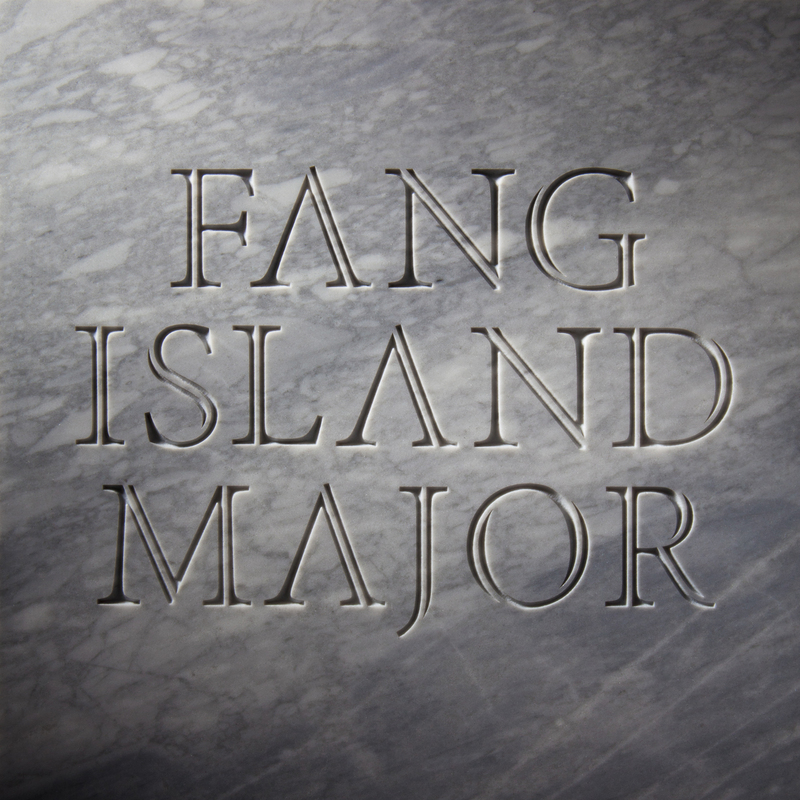 Brooklyn's beloved guitar-anthem optimists Fang Island release their sophomore album, Major today. In honor of the occasion, full album streams are available all this week courtesy of NPR and AOL Spinner. Listen HERE and/or HERE. 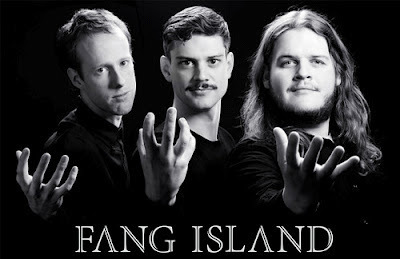 This past weekend Fang Island kicked off their summer headlining tour, with support on partially overlapping stretches from Irish genre-benders Adebisi Shank and The Mars Volta sibling heavy groove outfit Zechs Marquise. 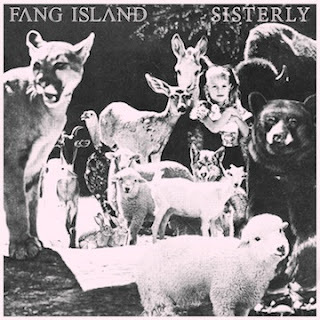 Fang Island will also play Fun Fun Fun Fest in Austin, TX in November (exact date TBA). Please see complete dates below. SPIN.com recently premiered a new track from the album. The song, "Seek It Out" is available to stream HERE. (Alternate Soundcloud link HERE.) Pitchfork recently premiered MP3s for the tracks "Asunder" (HERE) and "Sisterly" (HERE). Major is available everywhere on LP, CD and download via Sargent House on July 24th, 2012. Sam Chown, drummer/singer/multi-instrumentalist in Austin's hyper-kinetic duo Zorch premieres a new video today via Consequence of Sound. The clip, for "Pool Party (Place 4 Us)" is culled from his solo debut under the moniker Shmu. Watch video HERE. The entire album, Discipline/Communication is available for streaming HERE. The track and video for "&hearts" was recently posted by Canadian mega music tabloid Exclaim! and available to stream/download HERE. 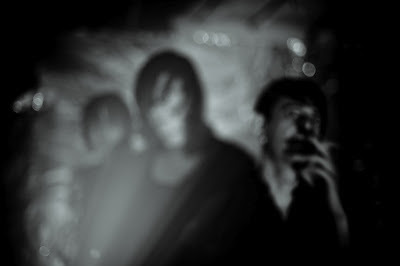 And, Shmu previously released the first album track "House of Stares" at Consequence of Sound. The sultry tune is available to stream/download HERE. "House of Stares" showcases a much more subdued and dare we say "pop" side of the musician's talents seldom heard in Zorch. Meanwhile, "&hearts" takes some of Zorch's spastic glitch and infuses a pop sensibility. Throughout, Shmu's album Discipline/Communication is a melodic exploration into combinations of pop, shoegaze, glitch, psych and experimental rock into a cohesive and original whole spread across the disc's 16-tracks. Chown wrote, produced, recorded and performed all instruments on the album. Discipline/Communication was released June 5th on CD and download via Grand Theft Zamboni Records. 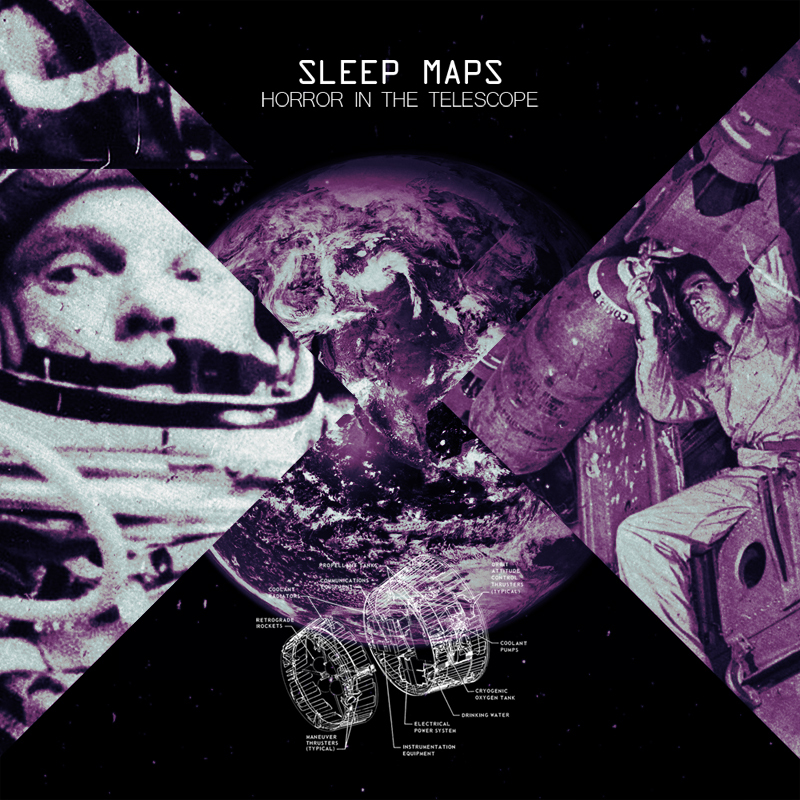 New York City heavy-psych band Sleep Maps premiere a new single today via RCRD LBL. The epic, pummeling song "Horror In The Telescope" is available HERE. In addition to the new track, an EP of remix versions of "Men Against The Stars" from the band's debut, Fiction Makes The Future is now available via Bandcamp. East Coast tour dates beginning in late October will be announced soon. Consequence of Sound recently premiered the video for album closer "Last Future" which makes a powerful statement on the impact of organized revolt. Watch video HERE. The Onion AV Club profiled the band in their June Loud column with the album track "Men Against The Stars" which originally premiered via Prefix Mag: stream/download HERE. Stream/download the full album HERE. 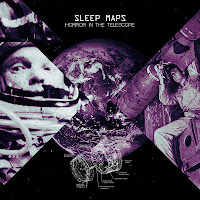 Fiction Makes The Future was recorded in the woods of Delaware over 3 weeks in October 2011. The 5-song, 40-plus minute album was produced, performed and mixed by Ben Kaplan. 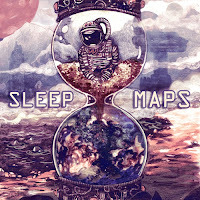 It is available on limited edition CD and download via Lost Future Music as of May 1st, 2012. 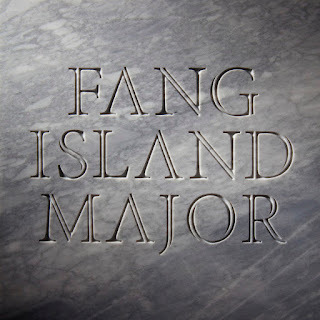 Brooklyn's beloved guitar-anthem optimists Fang Island are streaming their entire forthcoming sophomore album, Major all this week courtesy of the NPR website. Listen HERE. Major will be released July 24th on Sargent House. Pre-orders are available now on iTunes, HelloMerch and Amazon. 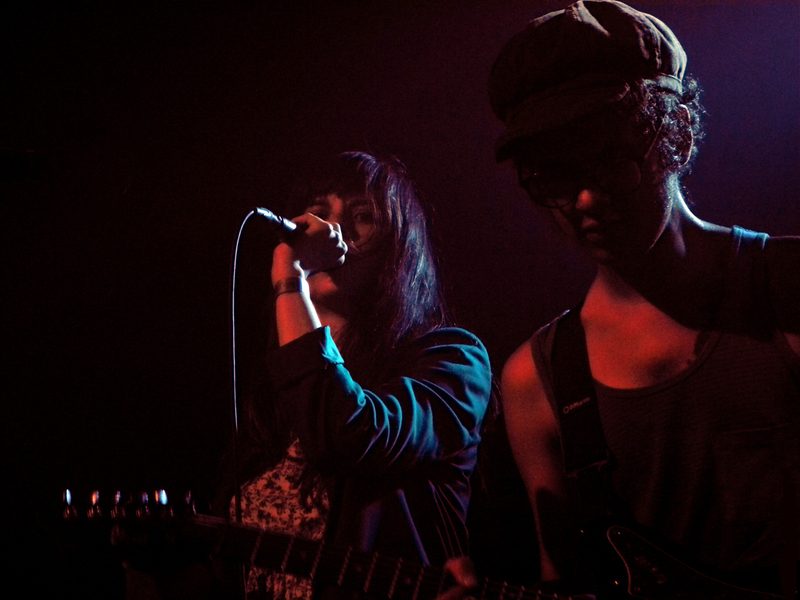 Pitchfork recently premiered MP3s for the tracks "Asunder" (HERE) and "Sisterly" (HERE). Like the painstakingly chiseled marble of the album artwork, Major is hefty, solid, monolithic and regal. Whereas Fang Island described their celebrated 2010 self-titled Sargent House debut as, "everyone high-fiving everyone," Major is evermore confident, triumphant and brimming with infectious enthusiasm. Its warm harmonies are given proper berth with more expansive dynamics and focused pop song craft.